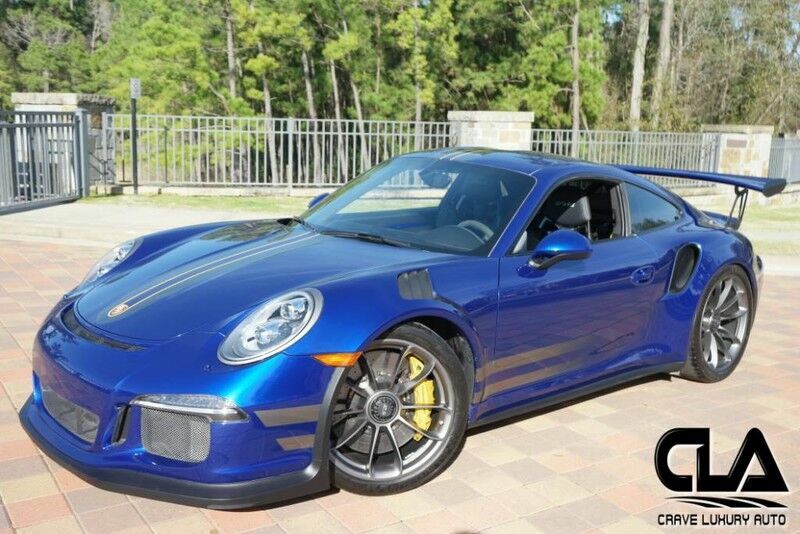 Client Advisor - Ultra nice custom paint to sample 2016 Porsche 911 GT3RS. Showing only 4,481 miles. MSRP: $211,240.00 Very well equipped with options including Extended range fuel tank Lightweight battery Porsche Ceramic composite brakes Front axle lift system Sound package plus Fire extinguisher LED headlights PDLS Electronic logbook sport chrono Track precision moduel voice control Sirius XM 6 Disc CD changer Sport chrono in white PCM display surround painted in body color Seat belts in racing yellow Clear euro taillights Center console trim painted in body color and much more! This Porsche like all previously owned vehicles here at CLA went through our own rigorous inspection process performed by our Master Technicians. Call to schedule your appointment today! Crave Luxury Auto is located Just north of Houston, Tx in The Woodlands. Our service center is just across the street from our showroom. Please call us with any questions you have in regard to this vehicle at 281-651-2101.